These pet-care articles are written, or adapted, by the Veterinary Staff at BloomingPaws. Ailments include illnesses and diseases that may affect your pet throughout the course of their life. Learn more about parasites, bacterial infections, viruses, and the vaccines and hygiene methods that help prevent them. Bordetella Facts about Bordetella Bronchiseptica, how it’s tranmitted, its symptoms, as well as diagnosing and treatment. Canine Adenovirus Facts about Canine Adenovirus, how it’s transmitted, diagnosed, and treated. Canine Distemper Facts about Canine Distemper, what are the symptoms, how it’s transmitted, diagnosed, and treated. Canine Influenza What you need to know about the recent strain of Canine Influenza, how it’s transmitted, the symptoms, and prevention. Canine Parvovirus What you need to know about Canine Parvovirus, how it’s transmitted, the symptoms, and prevention. Diabetes Diabetes can be caused by multiple factors in your pet’s life. Learn more about the symptoms, treatment, and common causes. Giardia Facts about Giardia in Bloomington, how it’s transmitted, diagnosed, treatment, protocols, and prevention. Heartworm Disease Prevention is the best treatment for parasites like heartworm, which reside in the heart and lungs of your pet, causing permanent damage. Pet nutrition is an important keystone to your pet’s general health. Look to these articles for important information such as how nutritional guidelines are determined, the basic nutritional requirements for all pets, how much to feed your pet, and foods your pet shouldn’t have. You may also ask to speak with our on-site Nutritionist, Patricía Da Rosa, for a consultation. Pet Nutrition & Diet How do you create the best diet for your pet? Learn about how food can keep them healthy, help with illnesses, and more. The Guide to Pet Food How nutrient guidelines for pets are determined, requirements for all pets, determining how much to feed, and a list of harmful foods. Canned vs Dry Food for Cats How nutritious is dry food? Is it the best way to feed your favorite feline? Learn more information in this article. Deciphering Pet Food Labels Terms explained: Food type, product name, net weight, ingredients, feeding directions, and statements from the AAFCO. Healthy Dog Treats A comprehensive list of healthy dog treats and treats to avoid with the benefits or reasons why they should be avoided. Raw Food vs. Kibble Summary of some current thinking on the benefits or disadvantages of feeding your dog raw food or dry food. Tips for Cat Health Nutrition and cat-care highlights to help you keep your feline friend happy and healthy. We want to help you keep your pet safe and healthy for as long as possible. Most of the services BloomingPaws Vet Clinic provides work toward preventative care instead of treatment. Read more about vaccination, parasite prevention, and hygiene to provide a strong foundation for your pet’s health. Dental Hygiene The signs of periodontal disease, causes, treatments, prevention, and solutions. Essential Oils (Aromatherapy) Plant-based oils can be a benefit for you and your pet. The comforts and remedies of holistic medicine can be incorporated into most any lifestyle. Hidden Dangers for Reptiles Learn the rules for setting up the best environment for your reptile and more. These pet-care articles are written, or adapted, by the Training Staff at BloomingPaws. Each pet may have different needs when it comes to socializing, training, and general behavior. We’d like to help. 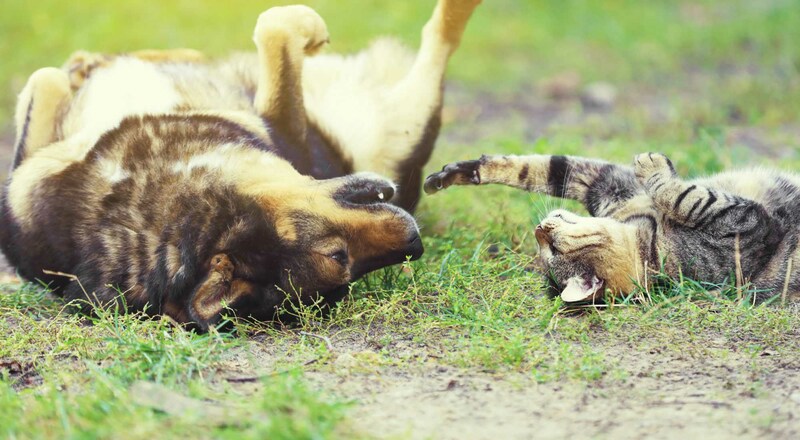 These articles may explain the reasons behind your pet’s actions and may help you better communicate with your furry companion. Alternatives to Declawing Cat declawing doesn’t have to be the answer to scratching. Read why it’s necessary for cats to scratch and the healthy alternatives. Crate Training BloomingPaws Trainers detail the ins and outs of crate training at home with some tips and tricks to get your puppy comforatble. Dogs with Kids Socializing your dog may be a delicate issue. Read through our trainer’s tips on monitoring your dog’s interactions with kids. 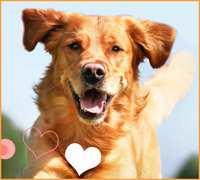 These pet-care articles are written, or adapted, by the professional Groomers at BloomingPaws. Dogs and cats each have different grooming needs, whether it be regular brushing or breed standard cuts. It can be difficult to figure out where to start, so we’ve written some educational material to help! The Benefits of Professional Grooming A list of why regular visits to your professional groomer can help keep your pet healthy. At-Home Grooming It is very important to maintain grooming hygiene at home. Read over the necessary techniques to use in between professional grooming. Grooming Double-Coated Dogs It is not always necessary to shave your double-coated dog. Read the reasons why it’s better to maintain a fuller, healthier coat.